Are yu interested in changing the course of your life? 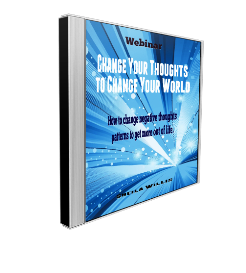 If you are looking to make positive changes in life and to create your desired life this webinar is for you. Audio: duration 2.5 hours Instant download. "Michellene Tipton, "The seminar was wonderful. So informative. And I must say, "mind blowing" at times. It's something how God works. I thank you."